My 5 Favorite UX ConferencesGuiseppe Getto, Ph.D. I often get asked by educators and people who are new to UX: “what are the best conferences to attend?” My answer is often: “that depends.” For educators, who notoriously suffer from a dearth of travel funding, making it to top-notch UX conferences can be difficult. Affordability: All these conferences are at price points that at least some educators can afford. Diversity of the crowd: All of these conferences are relatively diverse, meaning they are attended by lots of different kinds of people, including educators. Entry level: Going to UX conferences can be intimidating, especially if you’re new to the field. These are all conferences that feature a high level of beginner-level panels. 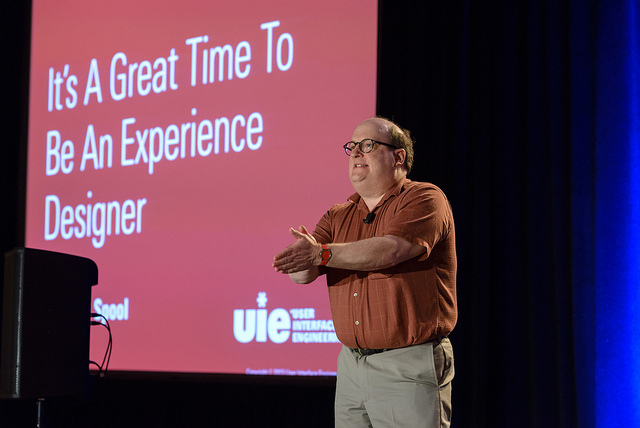 One of the largest UX professionals organizations in the world, the UXPA is great for educators because they have presentations at their annual conference for all skill levels. In addition, many of their local chapters host their own conferences and meetups. One of the only conferences on the planet that mixes higher ed and content strategy, Confab Higher Ed is a great conference for people of all skill levels. A regional gathering that attracts a lot of top-level talent, Midwest UX is a reasonably affordable event that features a great mix of pre-conference workshops, keynotes, 1-hour presentations, lightning talks, and hands on sessions. Another regional gathering in my own neck of the woods, the Internet Summit is a great mix of digital marketing, content strategy, and UX that features some great speakers. A fairly high-end conference for UX practitioners, Giant is still far cheaper than many UX conferences and feature some great talks. Educause is not a UX conference, per se, but with their focus on causing institutional change in higher ed through innovation and technology, they might as well be. The Symposium on Communicating Complex Information is an intimate conference at my home institution of East Carolina University, but it’s a lot of fun. My colleague, Michael Albers, has some amazing connections, so our keynotes are always awesome (ahem, Ginny Redish next year). Deadline for submissions is October 15th. If you’re interested in attending, be sure to drop me a line!